Powder putty used to make the plaster surface smooth and white. Enriched by our vast industrial experience in this business, we are involved in offering an enormous quality range of Wall Putty. 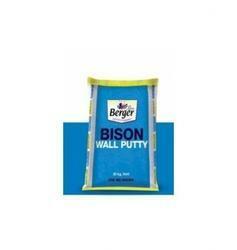 We are amongst the most reputed names in the industry, offering Berger Wall Putty. we are the leading trader, supplier of Wall Putty in india.we are the leading trader, supplier of Wall Putty in india. Product Description:As per the needs and requirements of our clients, we are involved in providing High Gloss Enamel Paint. 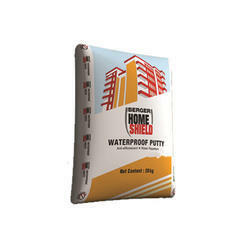 Can be used in both Interiors and Exterior surfaces, cost effective, it provides smooth surfaces. Bison Wall Putty is powder based, a unique mixture of super fine cement blended with flexible powder polymer, cellulose, pigments and many other additives. It is used in both exterior and interior walls to give smooth, undulation free surface. From our wide consignment, we are affianced in supplying Berger Wall Putty. Banking on our enriched industry experience, we are able to supply Berger Wall Putty.